Whitening is a chemical treatment, which is applied on fabric to make the fabric white at a desired level by bleaching and OBA treatment. 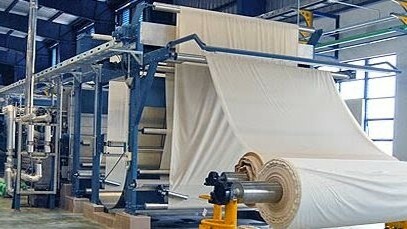 Flowchart of cotton whitening process is given below. The fabric is loaded in machine & fills with required water. Now auxiliary chemicals & acid are added. Check the pH (3.4-4.8) of liquor. Enzyme is added & run for 30 minutes. Check the fabric if enzyme action is proper. If not then increase time. Otherwise aquachron for 10 minutes & drain the bath liquor. Fill the bath with water. Add auxiliary chemicals & raise the temperature of the dye bath. Then add caustic soda at 70oC. At more temperature add OBA in the bath. Raise the temperature to 110oC.& run for 40 minutes. Then lower the temperature to 80oC. & check shade. By aquachron lower the temperature to 60oC..
Add acid to neutralize & run for 10 minutes.